Yes, fprintf blindly vsprintf‘s the supplied format string and arguments to a local stack buffer of only 256 bytes. Respect yourself. 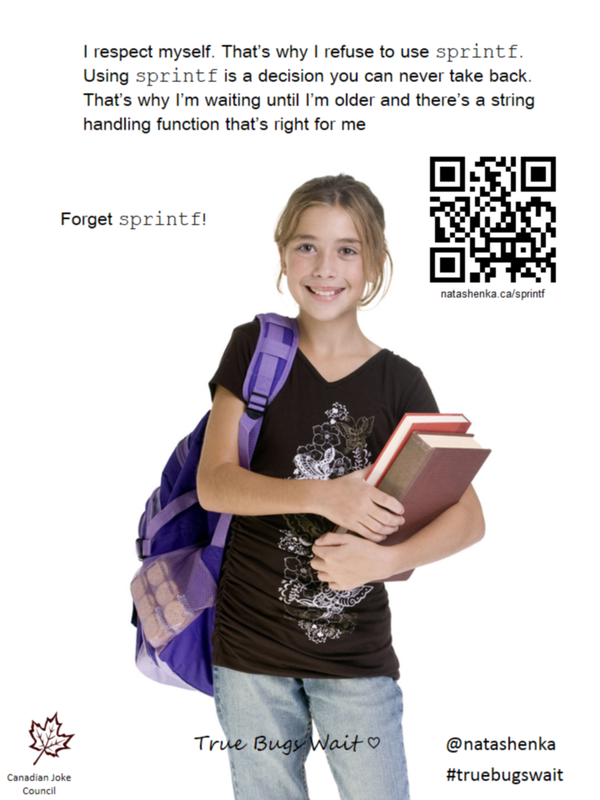 Don’t use sprintf. The administrative password is treated as a standard NULL terminated string, so if we can write even a single NULL byte at the beginning of this address, we’ll be able to log in to the router with a blank password. We just have to make sure the system continues running normally after exploitation. This last point is actually a problem. We need the system to continue normally and not crash, but if we simply return to the cgi_tmUnBlock function like fprintf was supposed to, the stack pointer will be off by 16 bytes. Finding a useful MIPS ROP gadget that decrements the stack pointer back 16 bytes can be difficult, so we’ll take a different approach. We’ve already added 0x10 to the stack pointer, so if we can find a second ROP gadget that restores the appropriate saved values for $ra, $s1 and $s0 from the stack and adds 0x50 to the stack pointer, then that ROP gadget can be used to effectively replace cgi_tmUnblock‘s function epilogue. Arbitrary code execution is also possible, but that’s another post for another day. can you link the firmware here ? One of my previous WRT120N posts (first link in this article) contains a link to the firmware. You’ve done a great work. I imagine it must have taken you quite a bit of time and effort. The problem is, that there is not much incentive to do that. Most incentive I would imagine have some NSA workers, then maybe some very low percentage of ambitious black hats. In my opinion, such hardware (+ default software), should come with a sticker that lists severity of bugs and bounties. Then when I buy such hardware, I look at it, and I know they are $50k sure about their security. So I choose the one that suits me. Of course these more secure one will be more expensive. Which should work both for demanding customers and for manufacturers. And apart from companies profits it would give incentive for independent security researchers (and not just NSA) to find and publish every exploitable bug in these. Having string.h in a small time tracker tool for a local user would be ok. But hey, who is interessted to do an exploit on a plastics router? Nothing to see there! Please go on for some serious stuff. Have fun with your devices! “But hey, who is interessted to do an exploit on a plastics router? Definitely not a hacker’s mind. One of the simpler and most dangerous things that could happen is to change the DNS servers that the router uses. Can you imagine why? Simple DoS to the network, remote traffic sniffing finding passwords, exploitation of network machines, exposing machines behind the router directly to the internet etc. Could you imagine such an exploit at a public cafe? or a friend of yours exploiting your home router? Plastic routers are fun and serious stuff also. Hey stergios, can i know which DNS your router use? Did you have to take Endianness into account in any of this? If so, is that a matter of simply reversing the order of the bytes in the strings? Yes, endianess is important for any low-level exploit, and MIPS processors can be either big or little endian. In this case, the Atheros chip used by the WRT120N is hard-wired to big endian. Nice work with solid explaination. seems like the IDA debugger with some plugin. Good work and nice, intuitive post. Thanks. I tried on my network, with firm 1.0.04, but nothing happend…. just for 1.0.07 ? I’m sure other firmware versions are affected, but the addresses used in the exploit will need to be tweaked for each firmware version. So far, I’ve only tested on v1.0.07. Are you actually doing a GET there, not a POST? If so, could this be done via CSRF? Exploiting routers allows you to redirect DNS request to a malicious website ,for example banking.. paypal.. amazon.. if you could exploit many of them you can build a pretty cool botnet. Thanks for the knowledge craig. You’ve done a great work. this is very cool. Could you tell me how do you get the crash dumping? The “Stack trace of the crash”. An fprintf() stack overflow; never thought I’d hear that. Is that implementation you posted in the SuperTask libc or is it somehow specific to the WRT120N? That seems like quality code only a router manufacturer could concoct (surprised D-Link didn’t beat them to it).